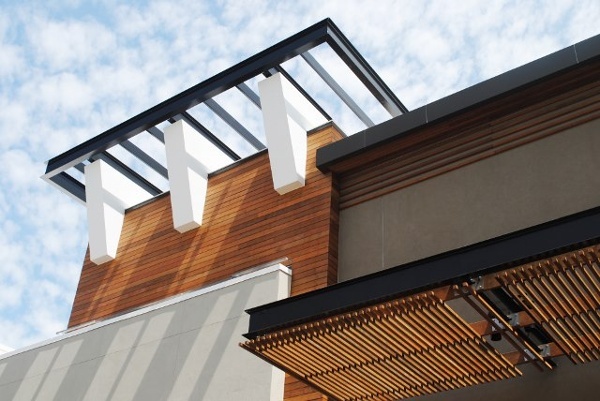 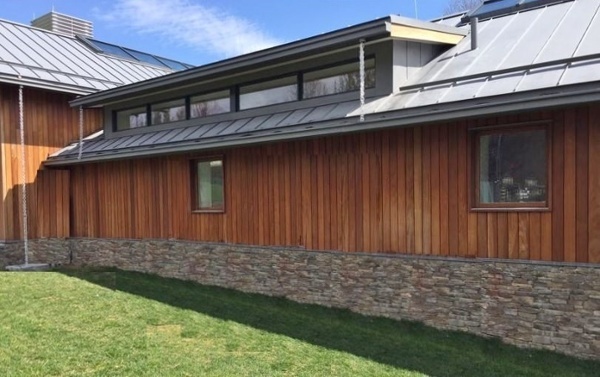 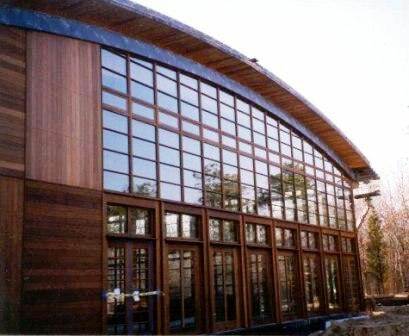 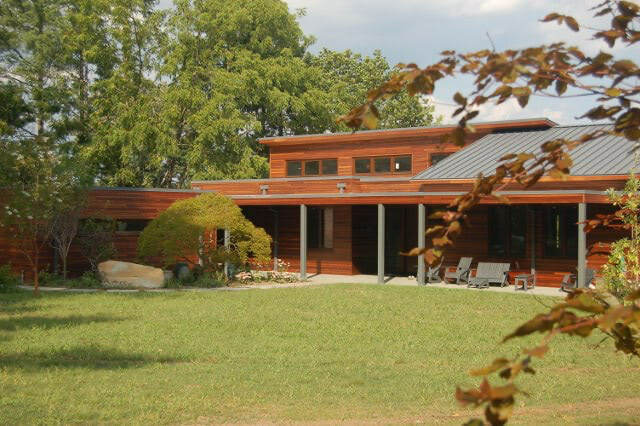 The Climate-Shield® Rain Screen System™ is the world's leading wood rain screen siding system. 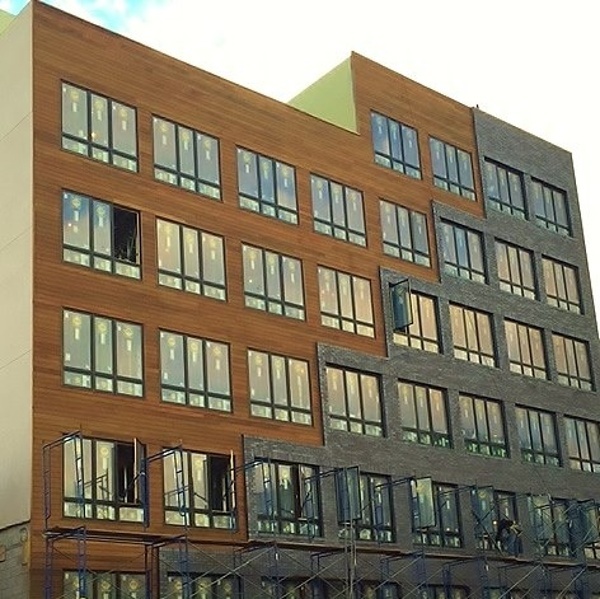 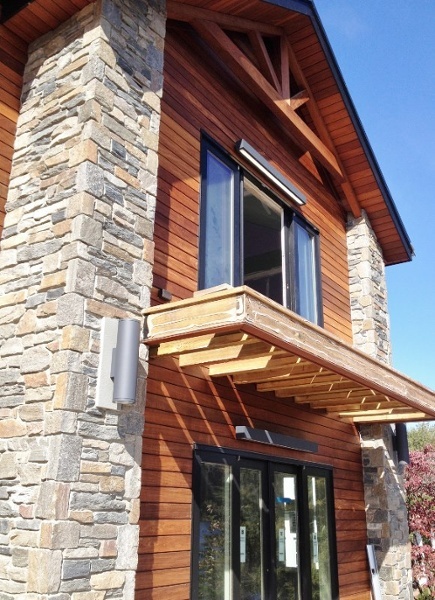 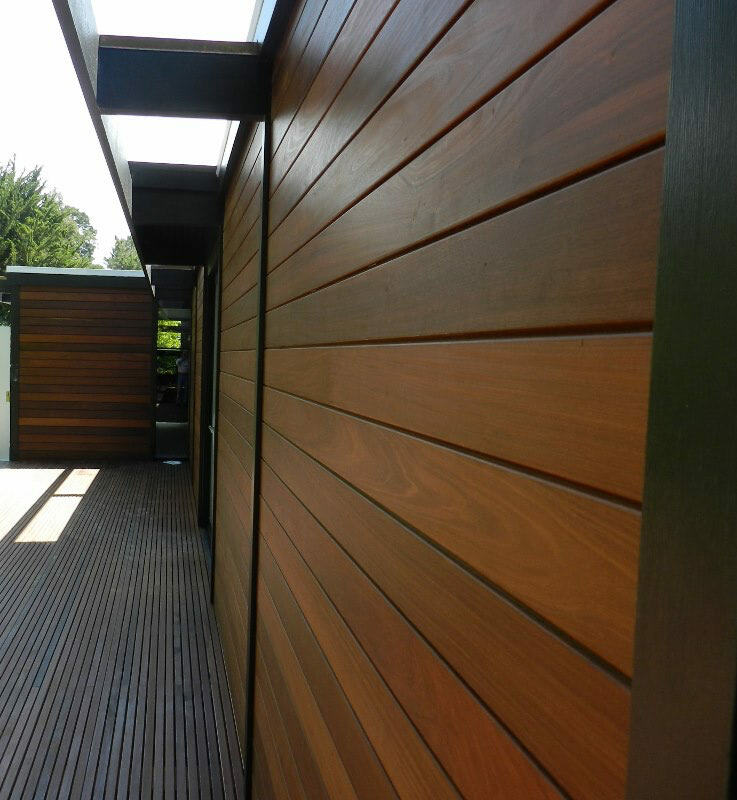 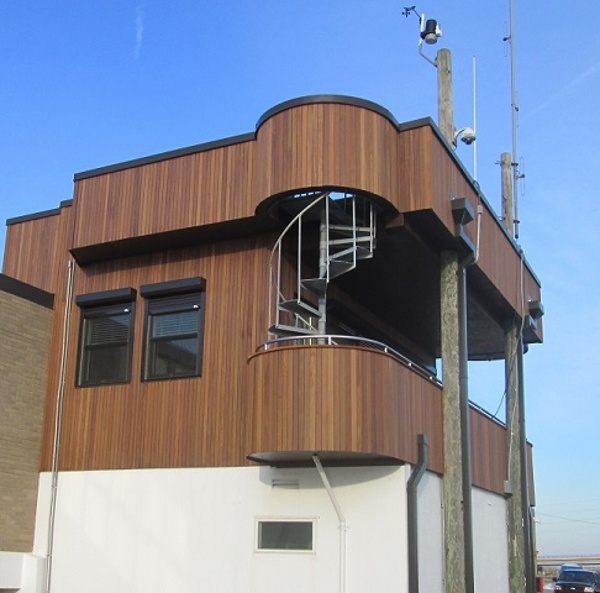 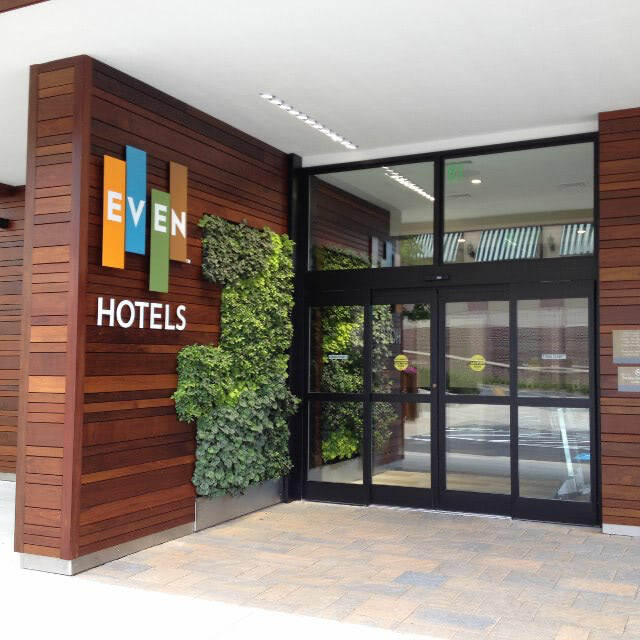 Mataverde® Ipe hardwood cladding is a beautiful and sustainable wood siding option for this remarkable system. 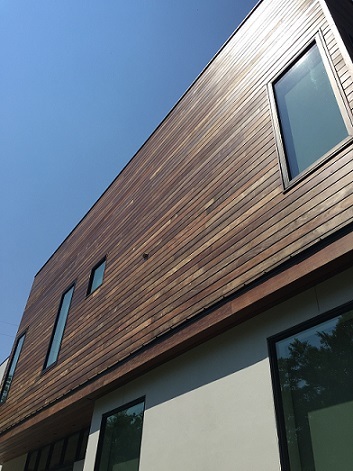 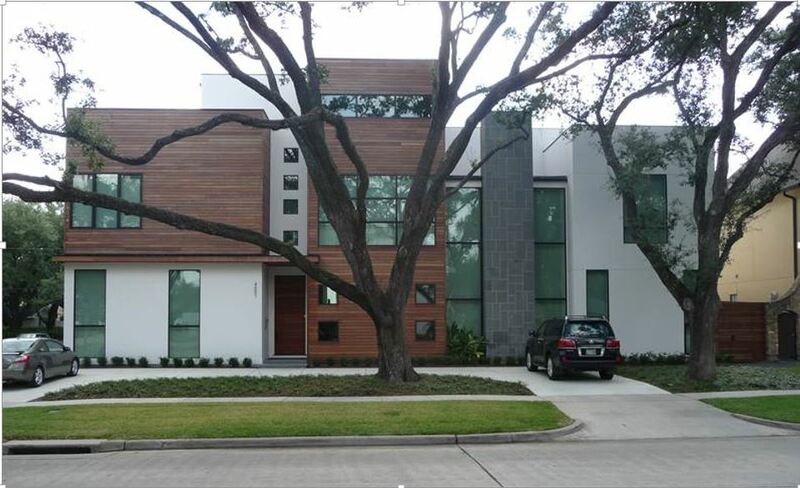 Mataverde Ipe hardwood siding is extremely resistant to insects and decay and is a Class A fire rated architectural cladding material option. 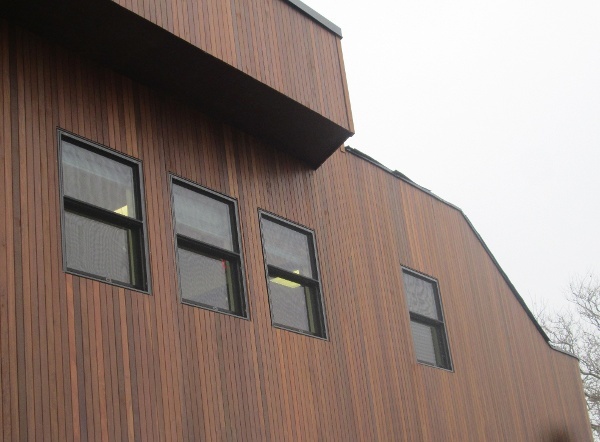 Please select individual Ipe Rain Screen Gallery photos below to enlarge. 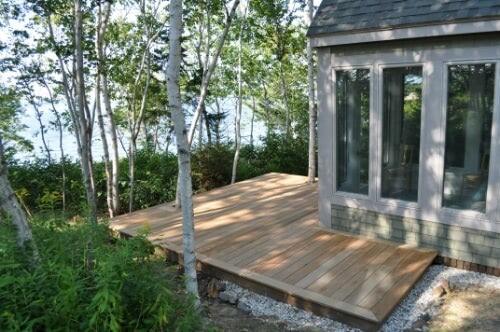 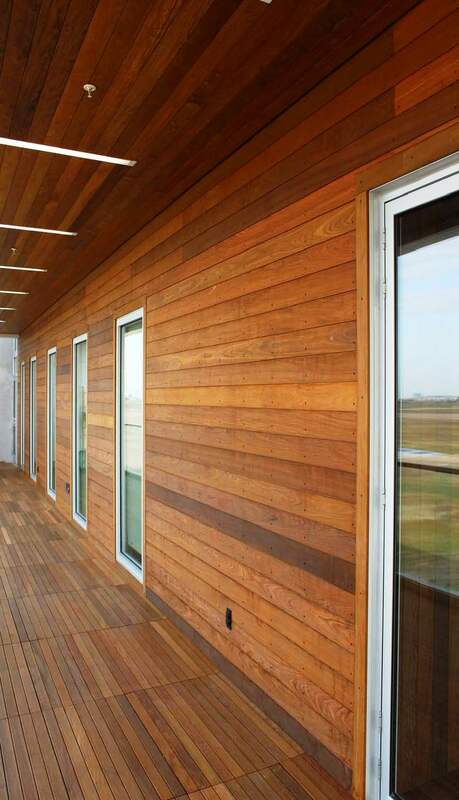 Ipe hardwood siding is resistant to fire and is nearly impervious to insects and decay. 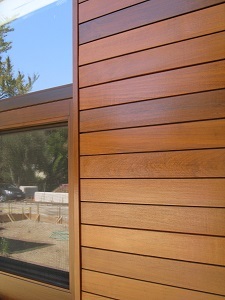 Ipe hardwood rain screen siding enhancing a beautiful landscape design. 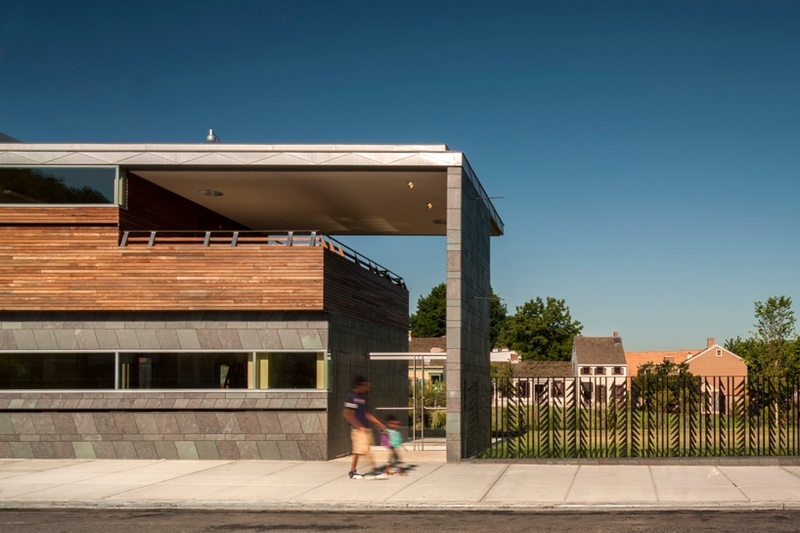 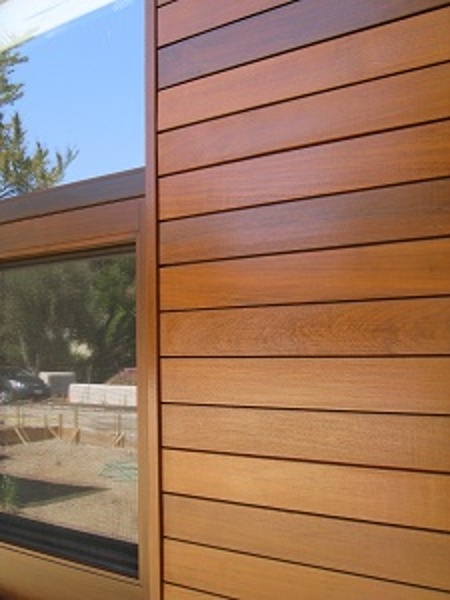 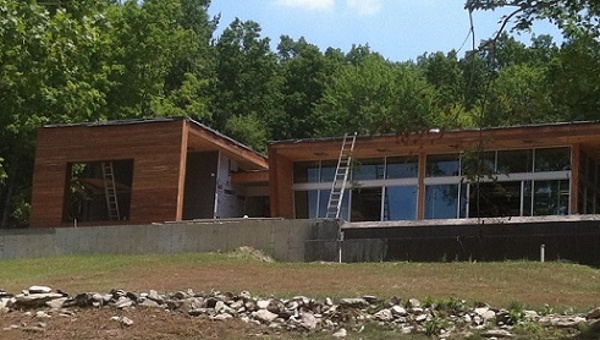 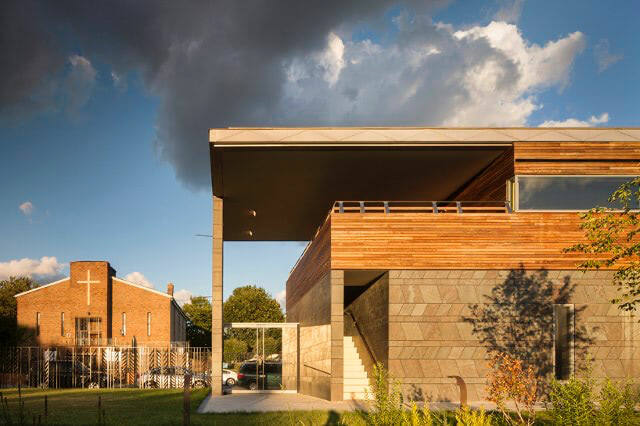 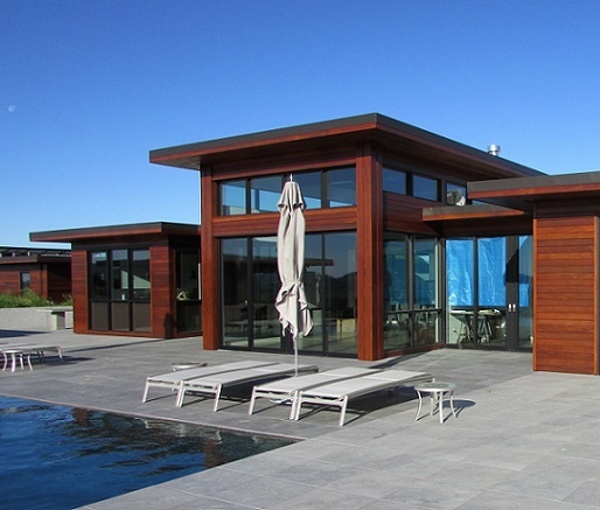 Ipe rainscreen siding lasts...and lasts beautifully. 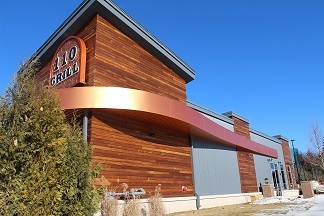 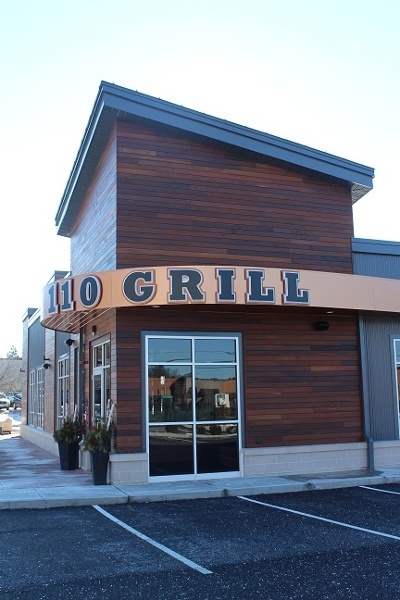 Climate-Shield Rain Screen aluminum outside corners can be powder-coated finished to any number of color options (shown here with ipe wood cladding and hammered bronze outside corner).